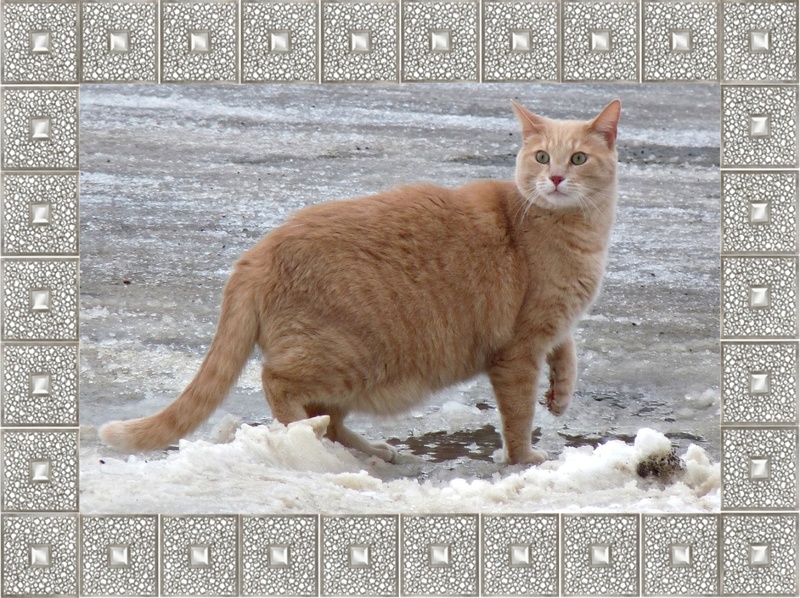 Wendy's 3-D Cats: DYLAN: TAKEN ABACK BY AN EARLY SPRING! 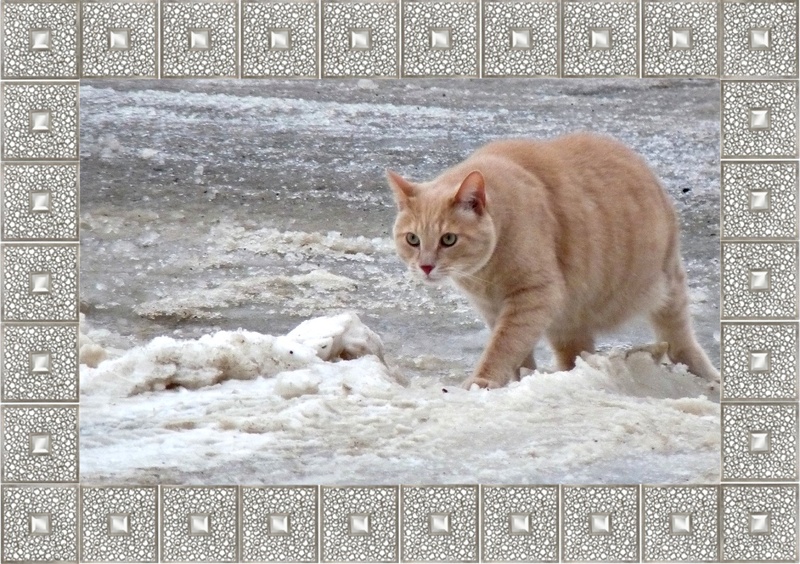 It's melting out there and Dylan must navigate the slush. "I has wun foot into Spring" says he. 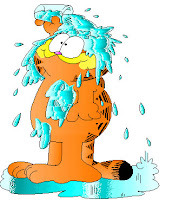 "Is a liddle too soggy fur me" he proclaims as he backtracks. "In fact, is like all hell has wet loose!" MOL! You need some boots Dylan! Yuck. Wet paws. Hop do you stand them?